It didn’t take long for Apple to shut down Lala after its acquisition this past December. On May 31, the service will go offline. Lala is not accepting any new members in the meantime. Lala was the popular cloud-based music service with a robust social media aspect. One unique feature is the ability for a user to upload their music library and each song would be identified. The user could then play their music library from anywhere they are connected to the internet, and even share their songs with friends. 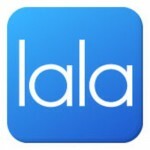 Songs purchased from Lala for $0.89 would be stored in the cloud, and could be downloaded for use on portable devices. For $0.10, the song could be streamed unlimitedly from the cloud. Due to the shuttering of the service, Apple, Inc. has announced they will provide iTunes credit to users who have already bought store credit in Lala. Additionally, any songs purchased at the $0.10 price will be credited to iTunes for song purchases – though all previous purchases must be remade at the iTunes store price (generally $0.99). Many Lala users synced their iTunes library with Lala to give them access to their library from anywhere in the world. For this reason, it has been assumed that Apple will be releasing a whole new web-based iTunes service combining iTunes and Lala functionality. If Apple doesn’t provide cloud-based streaming, they spent $80-million to destroy a company which offered very little competition to the iTunes business. iTunes moving to the cloud would certainly make sense since their current rival, Google, is rumored to be working on a cloud-based music service as well.